It's been proven, hearing health is directly connected to your overall health and well-being. It's why at MicroTech Hearing Technologies, better hearing is all we think about and do. Starkey Hearing Foundation travels the globe delivering the gift of better hearing to thousands of people each year. 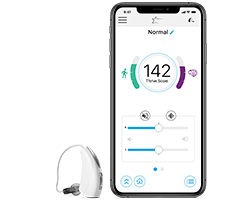 Connect directly to your Android and Apple smartphones via the Thrive Hearing or TruLink Hearing Control app. Over time, reduced stimulation to your ears and brain can actually impair the brain's ability to process sound and recognize speech. Hearing impairment is only partially recoverable with hearing aids. When you can't hear what's going on around you, your mental sharpness and communication abilities suffer. The earlier you start using hearing aids, the quicker you'll notice benefits.